Under California Vehicle Code Section 23152(b) VC, it is illegal to drive a motor vehicle with a blood alcohol content of 0.08 percent or higher. However, it is not against the law to have a BAC of .08 percent or higher while at a police station or hospital where testing occurs. Because police officers are generally unable to obtain an exact measurement of a driver’s blood alcohol content at the time that he or she was actually driving a motor vehicle, prosecutors must rely on retrograde extrapolation to explain how a breath or blood test taken at a later point in time can be used to show a driver’s BAC was over the legal limit at the time of driving. Retrograde extrapolation is a fancy term for the backwards projection used to determine a driver’s BAC based on test results that were obtained after driving occurred. Retrograde extrapolation is not an exact science and there may be ways to challenge the prosecution’s expert witness regarding whether or not a driver actually had a blood alcohol content of 0.08 percent or higher at the time he or she was driving. After a person has been arrested on suspicion of driving under the influence, he or she will be given the option of taking a breath or blood test. By this point, the driver has been transported from the scene of the vehicle stop to the police station and a significant amount of time may have passed. 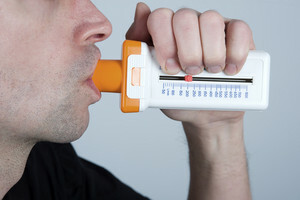 Those who select the breath test typically will be able to test on a Breathalyzer device kept at the police station. Those who choose the blood test will usually have to be transported to a hospital and prepped for a blood draw. In some cases, it is not unusual to see blood draws occurring hours after a person was actually driving. The prosecution will typically call an expert witness who will explain retrograde extrapolation to the jury and describe how this concept can show that a defendant was over the legal limit at the time of driving. However, determining a person’s BAC through retrograde extrapolation is an imperfect science that can be open to challenge. A calculation based on retrograde extrapolation will often assume that the absorption period has been completed, that the defendant’s alcohol elimination rate is stable and that the driver’s BAC curve can be determined with certainty. The absorption of alcohol is typically divided in into three different phases, the rising or ascending phase that occurs when more alcohol has been consumed than what can be eliminated in the liver. The next phase is the peak phase which would occur after drinking has ceased and the individual has reached their highest BAC level. The last phase is the elimination phase where alcohol is being eliminated by the liver and the person’s BAC level begins to decline. When making a BAC estimation based on retrograde extrapolation, it is necessary to know which phase the person was in at the time of testing. If the driver had consumed several shots of hard liquor in a short time and was pulled over immediately thereafter, there may be a strong argument that the driver was actually under the legal limit at the time of driving and only had higher test results due to a rising blood alcohol level. A number of factors can affect the rate of alcohol absorption which can make extrapolating BAC levels unreliable. The absorption rate can be affected by the amount and type of food ingested. In addition, factors such as exercise, the use of stimulants or certain intense emotions can reduce a person’s absorption rate and can affect the ability to accurately extrapolate BAC levels at the time of driving. Absorption and elimination rates will vary widely between different people. If you have been charged with driving under the influence, it is critical that you speak with a Los Angeles DUI Attorney as soon as possible. Lawyer Michael Kraut is a former Deputy District Attorney with over 14 years of prosecutorial experience who is highly effective at challenging many of the conclusions and presuppositions made as a result of retrograde extrapolation. For more information about DUI and retrograde extrapolation, and to schedule your free consultation, contact Michael Kraut at the Kraut Law Group located at 6255 Sunset Boulevard, Suite 1480, Los Angeles, CA 90028. Mr. Kraut can be reached 24/7 at 888-334-6344 or 323-464-6453.